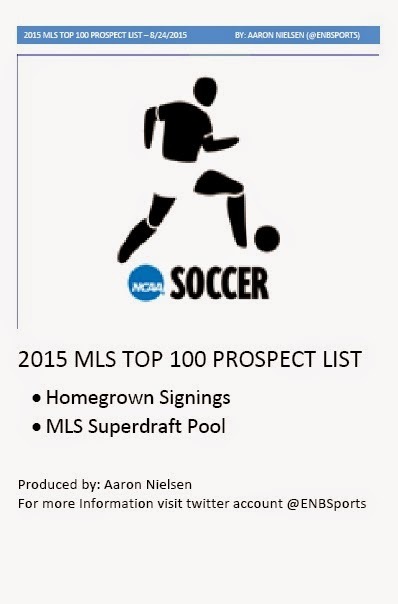 Showcases the top 100 prospects for the 2015 MLS Draft and Homegrown signing period at the beginning of the 2014 NCAA College Soccer Season. I also added “a scout’s view” further information on some players based on the view of a North American Soccer Scout and, a recap of the 2014 prospects and a companion piece rating the top 100 players in World Soccer under the age of 20 years old. It’s our MLS prospects special! We wrap up the show with Segment 2 “Last Call” looking at a few teams position of need and suggest a few players. As always you can let us know your thoughts by tweeting us directly@KamalHylton & @ENBSports, leaving a comment underneath this post or on the Gaffer & Hooligan Facebook Page and find us on the War Room Sports Podcast Network and PhatzRadio.com.